I grew up in a small town in West Virginia, with everyone knowing each other and their business, local eateries, and the occasional urban legend. The town wasn’t Point Pleasant, but Mae Clair’s portrayal of small town WV is spot on. I didn’t read the first book in this series, and having seen the movie, The Mothman, with Richard Gere and the X-files episode featuring the Mothman many years back, I was interested to see this author’s interpretation of the famous urban legend. And I was very satisfied. With an exciting mix of mystery, suspense, and paranormal elements, I barely took my eyes off the book to board a plane. It’s a probably a miracle I got on the right one. The characters are well-depicted and seem like friendly next door neighbors, making it even easier to become vested in the story. 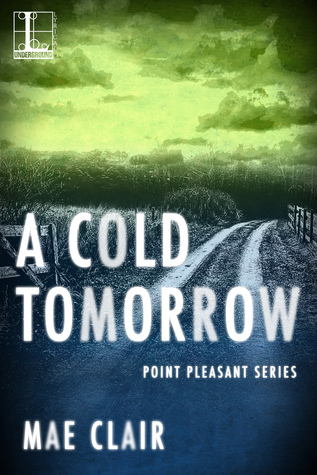 Although I haven’t read the first book in this series, I didn’t feel like I’d missed anything and A Cold Tomorrow is easily a standalone. Now I have to hurry and wait for the next one – but at least I have time to read the first book in this series! Highly recommend this supernatural mystery. I loved this one myself. I’ve read both of them, and they’re a lot of fun. I’ve got to find some time to go back and read the first one. I should probably reblog this one. I’m going to reblog it. Teri, I’ve read everything Mae Clair has written (I think), and she constantly blows me away. I know you’ll love the first book in the series as much as the second. You’re so right about the characters and setting—all are so inviting, even in the midst of some scary stuff. She’s a really talented author. You’re my people, Staci – I completely agree. Besides this one, I’ve read Food for Poe and loved the supernatural elements added in. And I had no idea that you grew up in West Virginia. I loved visiting, especially the drive from Pennsylvania, through all of the mountains. Thank you for reading my book and sharing your review! You’re very welcome, Mae. Yes, I grew up in WV, graduated from WVU, and still have some family there. One of my brothers-in-law actually lived in Point Pleasant for a while – but no Mothman stories. I bet he heard stories about it when he was there. Some people I met didn’t like the whole idea of Mothman putting their town on the map and others loved talking about it. There is even a Mothman museum in downtown Point Pleasant, LOL! I’d love to see that museum! A great review of a great book. Mae is on a roll with her Point Pleasant series. Wow, thanks so much for reblogging Teri’s post, Craig. I really appreciate that and your support! As a strong believer in UFOs, men in black and other strange things in our world that can’t get a satisfying explanation from authorities, Mae’s story was a real treat for me. I read all her released books and my belief that she’s a rising star in the world of writing is getting stronger. I feel honored and proud to have met her in the cyberspace. 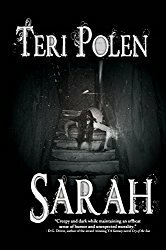 A great review for a great book, Teri. I loved both! Thanks, Carmen – it was certainly an intriguing read! I’m getting ready to start A Cold Tomorrow. (I already laid out the cash). I read the first and highly recommend it. Nice review Teri. Thanks, John – and happy reading! Started reading A Cold Tomorrow, and am enjoying it as much as I did the first one, A Thousand Yesteryears. 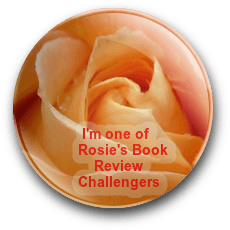 Don’t miss Mae’s other books! Glad you’re also enjoying if, Julie. Something I forgot to mention in the review – don’t you love the covers? Very eye-catching.